Increasing domestic private investment key to filling the SDG funding gap, according to report. 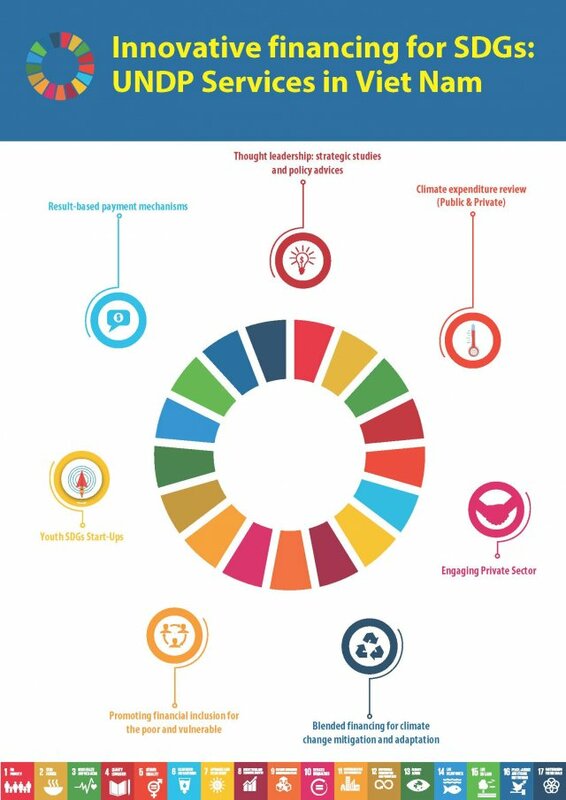 Accelerating the development of the private sector and expanding domestic private finance are key priorities for Vietnam to meet the financial requirements to achieve the Sustainable Development Goals (SDGs). This is a key recommendation of the Development Finance Assessment Report: “Financing Sustainable Development in Vietnam”, released on September 11 in Hanoi by the UN Development Programme (UNDP) in partnership with the Ministry of Planning and Investment (MPI). The release was attended by key representatives from the government, business, academia, international development partners, and the media. The Director of UNDP’s Regional Bureau for Asia and the Pacific, Haoliang Xu, who is visiting Vietnam to attend the World Economic Forum, and Deputy Minister of Planning and Investment Le Quang Manh were also in attendance. Using the lens of the Integrated National Financing Framework (INFF), the report analyzes the composition, characteristics and trends of Vietnam’s development finance and development investment resources, with comparisons to other countries, mainly from the ASEAN region. The report provides an overview of the changing development finance landscape in Vietnam. FDI and remittance inflows have been high, while ODA is declining and government revenue is not increasing fast enough to sustain the high level of public investment needed to meet increasing spending obligations and public debt is rising. According to Mr. Haoliang Xu, the Development Finance Assessment Report shows the rapidly changing development finance landscape in Vietnam. “While the volume of domestic private investment in 2015 doubled since 2002, its share of total development finance, of around 40 per cent, and per capita domestic private investment - $490 in 2015 compared to the ASEAN average of $690 - are among the lowest in the ASEAN region,” he noted. He called for urgent action, including incentives for increasing domestic private investment, attracting FDI that helps link domestic firms to global value chains, enhancing tax collections and State asset management and introducing property and environmental taxes, and working towards an integrated national financing framework for the SDGs. He reaffirmed UNDP’s readiness to partner with Vietnam in effective financing for SDGs, especially enhancing synergies of all finances (public, private, national and international) and maximizing their contributions to SDG outcomes. According to Dr. Ho Dinh Bao, National Consultant and team leader of the report, expanding domestic private domestic investment to become a major source of development finance should be a key future priority to meet the SDG’s financial requirements. The report highlights the need to facilitate Vietnamese private enterprises to grow in size, productivity, and competitiveness. It recommends Vietnam enhance coordination between central and local governments and move away from using tax incentives to attract FDI, improve infrastructure, create an enabling business environment, and equip workers with 21st century skills.